Let's just say that my making 4 pies the night before Thanksgiving sounded like a good idea, but turned out not to be my best plan. 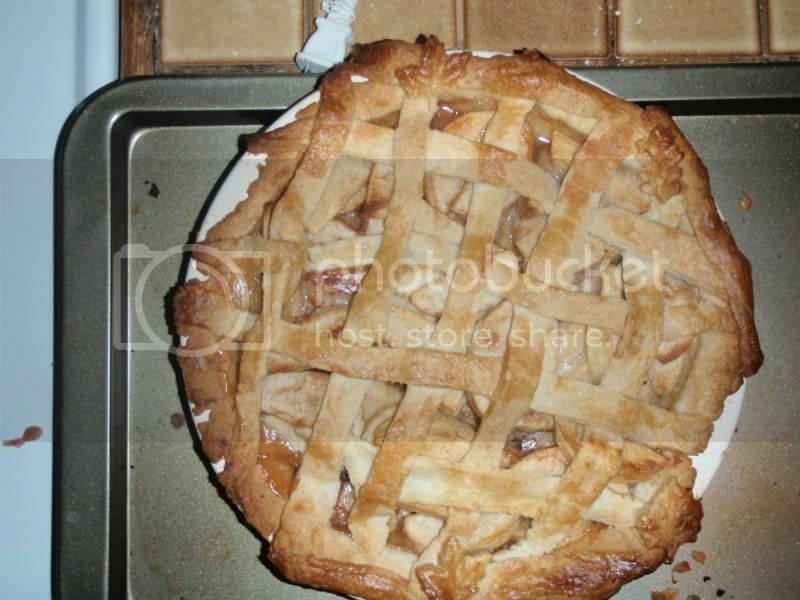 Granted, I did this last year without a hitch--same 3 pies, in fact. However, the sum of one new recipe for pecan pie + an unfamiliar kitchen/oven + someone else making the pie dough amounted to 6 hours of pie-making fun when it should have taken me a mere 2-3 hours. Let's start with the pecan pie recipe. 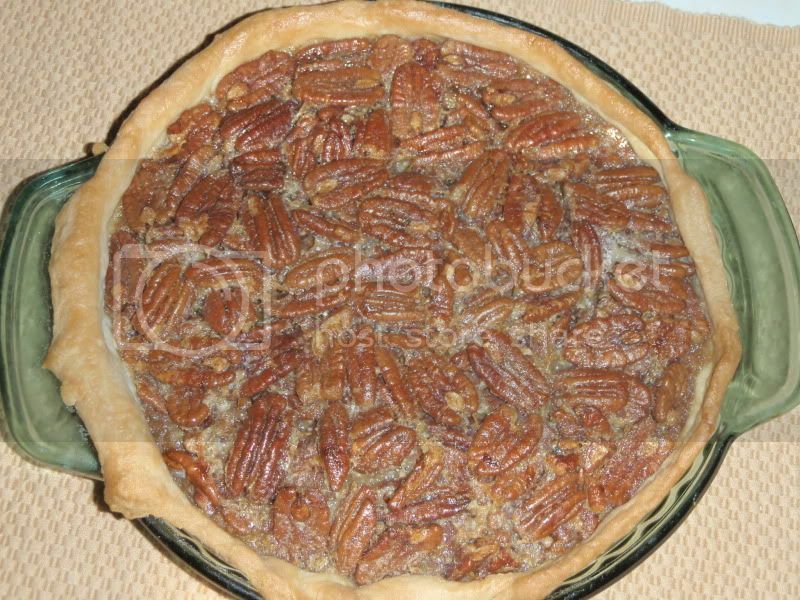 I thought it would be neat to try a bourbon pecan pie/tart recipe. Basically, it was my regular pecan pie recipe + 2 T of bourbon in a tart pan. How complicated could that be? 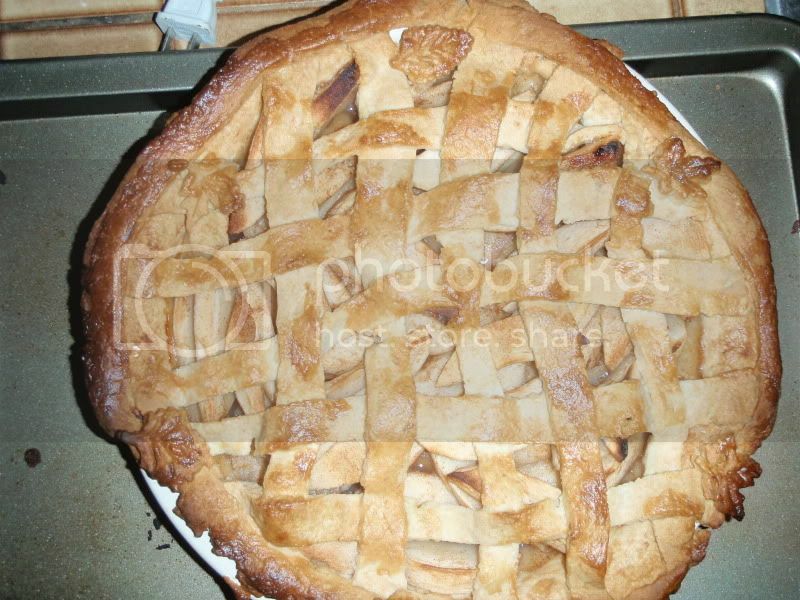 Well, for starters I don't usually prebake the crust. Thus, the fact that my favorite dough shrinks a bit isn't usually a big problem unless I've majorly over-worked the dough. However, when prebaking in a tart pan, if you cut it to size and only put weights on the bottom, you get a dough disc. 30 minutes down the drain, plus the time I spent working the dough. Next comes the unfamiliar kitchen problem. Not really a problem, but baking in my husband's kitchen for the first time presented some challenges. First of all, I had never used the oven before. While I had a thermometer to see what temp it was heating to vs what temp I had set it, I had no way of knowing if the heat distribution was even or not or what other kinks it might have. The biggest thing turned out to be that the oven racks were in upside down and backwards. I knew there was something not right about them, so I flipped them only to discover that the door didn't close tightly that way. 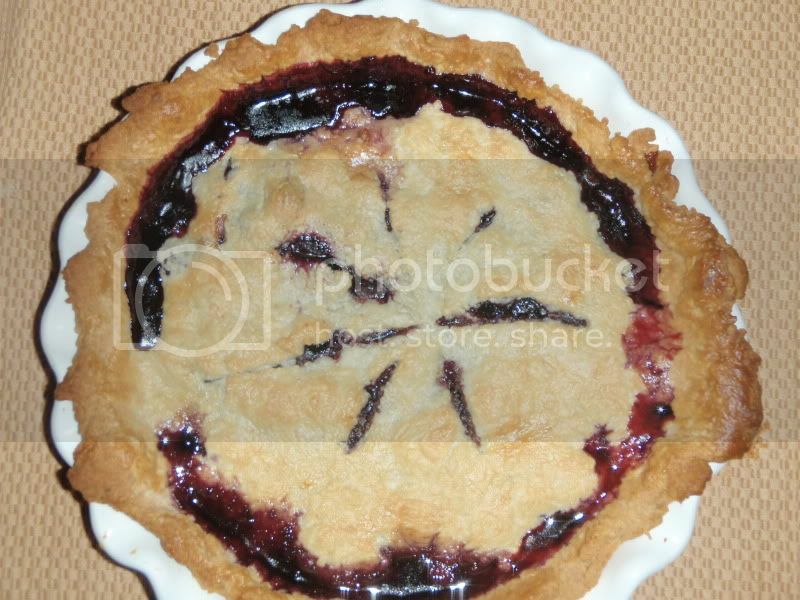 It wasn't until I had removed pie no 4 that I realized that the damn things were BACKWARDS. There was nothing special about these racks and I have removed the racks from my own oven, but for some reason I just didn't see the problem until the end. Finally, the dough problem. It was a big problem. I had collaborated with someone else to make the pie dough prior to my arrival today. It's a sturdy dough and keeps for several days in the fridge. I have made nearly a dozen pies with this dough and love it. Somehow, of the 4 batches that were made for me, only one was perfect. The others weren't anywhere near close. They were dry and mealy--clearly the dough had not been mixed thoroughly enough when it was made to realize that it would never stick together. I have no idea what happened, especially since that one batch was so perfect, but the rest were disasters. While I had plenty of butter and all night, I did not have enough flour to remake all the dough I needed. Thus, I did the best I could to rework the dough. I worry that all my crusts will be tough tomorrow, but at least the damn pies held their shape. On the upside, while I might be a little sleep-deprived heading towards Thanksgiving, (a) that's nothing new and (b) it might all me to be more mellow when presented with all the people tomorrow. Here's the pies all together in the order that they came out of the oven. Look for the recipe for each later this week.